If you aren’t already a member of the Niles North Fine Arts Parents and Patrons and are interested in joining, a form is attached or visit us at nilesnorthfapp.com and use the paypal link. Corporate Matching– If your company participates in a corporate matching program such as the United Way or Benevity, please select the Niles North Fine Arts Parents and Patrons (NNFAPP), as one of the recipients of grants. Then, periodically, NNFAPP (a 501c3 organization) will receive distribution checks. That money, in turn, goes to our Fine Arts students in the form of grants for private music lessons, master classes, creative workshops/seminars, art classes, dance classes and participation in outside ensembles and educational programs. 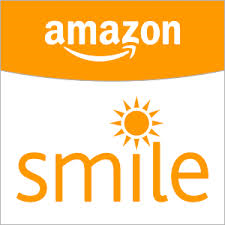 Amazon Smile – Support Niles North Fine Arts Parents and Patrons Ltd by purchasing items thru smile.amazon.com and adding us as your charitable organization choice. They will donate 0.5% of purchases back to us.